Check Out Nomatic. They just launched a Kickstarter campaign for the NOMATIC Backpack and Travel Pack, a project that’s already received over $250,000 in funding in the first 24 hours. The company NOMATIC was started by Jon Richards and Jacob Durham, two Utah-based Bros who see an open lane in the luggage space. On the heels of the NOMATIC Travel bag being the most funded travel bag in Kickstarter history, the NOMATIC Backpack and Travel Pack aspires to be the ultimate bag for 1-3 day trips. Right in time for the new school year kicking off, Spotify and Hulu teamed up for an incredible bundle for students. You can get Spotify Premium as well as a Hulu subscription for $4.99 per month. Even if you have Spotify Premium already, you can get this bundle. You’ll receive Spotify’s unlimited streaming plan with no ads (Typically $9.99 per month) as well as Hulu’s base-level “limited commercial” plan (Typically $7.99 per month). The one drawback to the basic Hulu plan is that there is no option to upgrade to the commercial-free version or add extra services like HBO. If you already pay for Hulu, your account can be merged with the new Spotify bundle. This offer is open to undergraduate students, enrolled in a U.S. Title IV accredited college or university in the United States. Visit spotify.com/us/student to learn more about the bundle and eligibility requirements and to sign up. 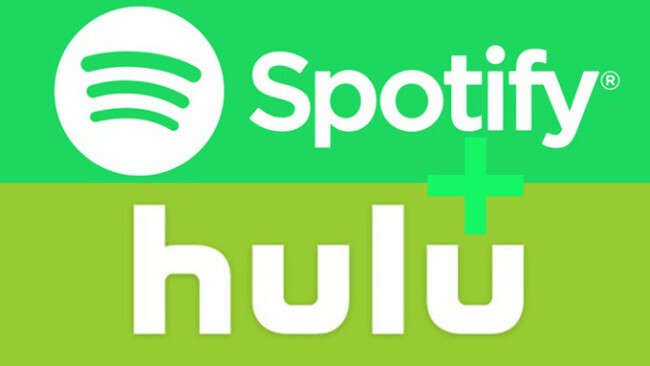 Existing Spotify Premium for Student subscribers should access their Spotify accounts to switch their plan to Spotify Premium for Students, now with Hulu. If you want to sign up for the bundle you can do so HERE.